Hi there! 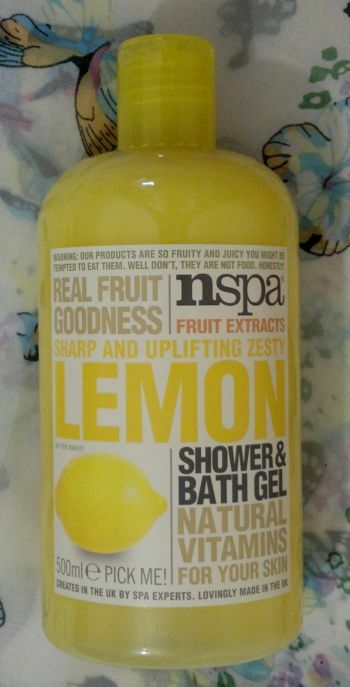 Today’s post is about NSPA‘s Sharp And Uplifting Lemon Shower & Bath Gel. Now… is this shower gel any good? Yes, it is. The lemon fragrance is tangy and refreshing. It smells just as awesome as Original Source’s lemon shower gel. I also love the sherbet-like texture which adds to the cool feel of the shower gel. I know NSPA‘s Sharp And Uplifting Lemon Shower & Bath Gel will serve me well this summer. If you’d like to try this shower gel, it’s available as 500ml for £3. I bought it when Asda ran a 3 for £4 promotion. Have you tried this product? 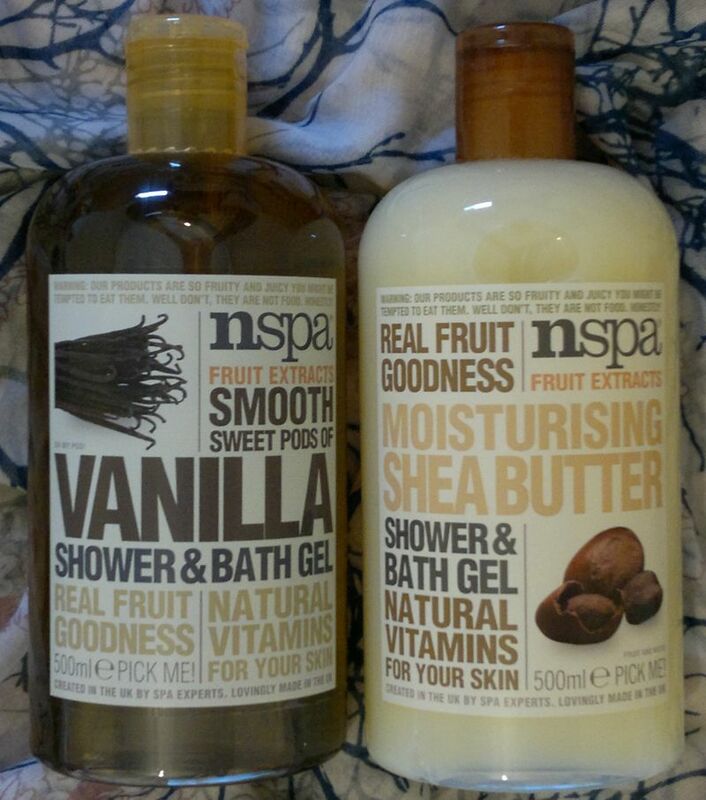 Have you tried any of the other NSPA shower gels? If so, which ones are your favourites? Feel free to get in touch via the comments. And thanks for reading! NSPA’s Luscious Fresh Clementine Shower & Bath Gel is very nice! 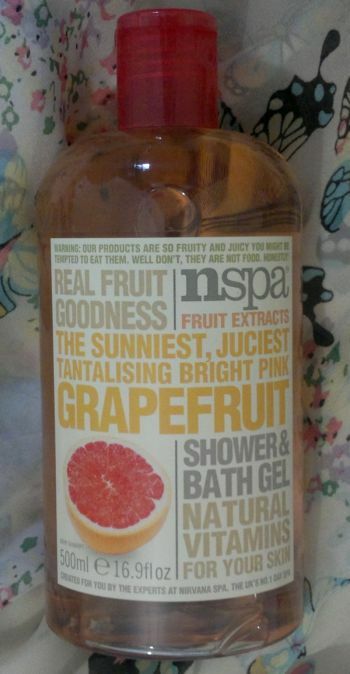 It feels sunny and refreshing, and I think NSPA captured the orange and green nuances of clementines perfectly. I’m also happy to report that this shower gel doesn’t feel drying at all. Well done, NSPA! 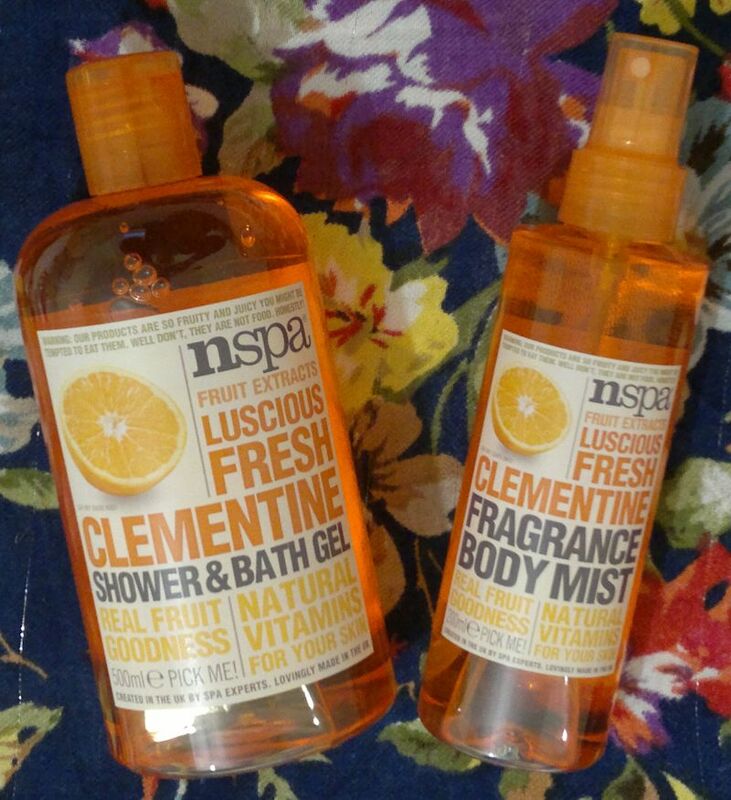 NSPA’s Luscious Fresh Clementine Fragrance Body Mist is just as nice as the shower gel. Sure, it’s a simple fragrance. However, I think it’ll be great for the warmer months ahead of us. I’ll keep this one in the fridge so whenever I feel like it, I can use it to douse myself in a cool, juicy and fresh mist. NSPA’s Clementine Shower & Bath Gel is available as 500ml for £3, NSPA’s Clementine Fragrance Body Mist is available as 200ml for £3. I think this body butter smells amazing. The shea butter fragrance is sweet, warm and cuddly. It’s gorgeous, and I can’t get enough of it! This body butter doesn’t just smell great. It’s also a fantastic moisturiser. It’s rich and nourishing, and it makes my skin feel super soft. This body butter feels a little sticky, but it’s fine once it’s absorbed (which takes 2 or 3 minutes). All in all, I think this body butter is wonderful. I would recommend it to anyone who’s looking for a nourishing body moisturiser. 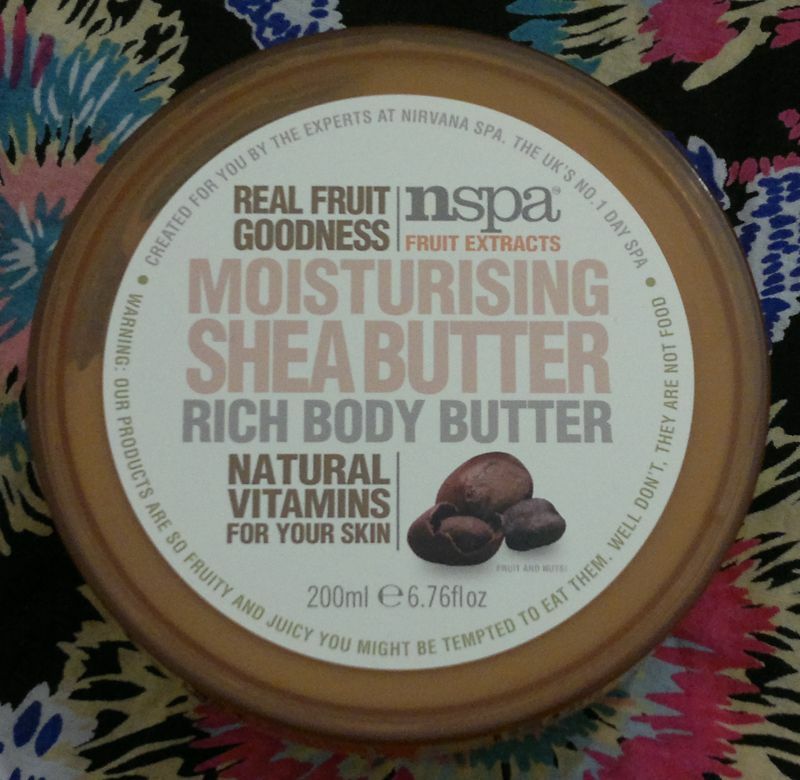 NSPA‘s Rich Body Butter with Moisturising Shea Butter is available as 200ml for £3. Hi there! 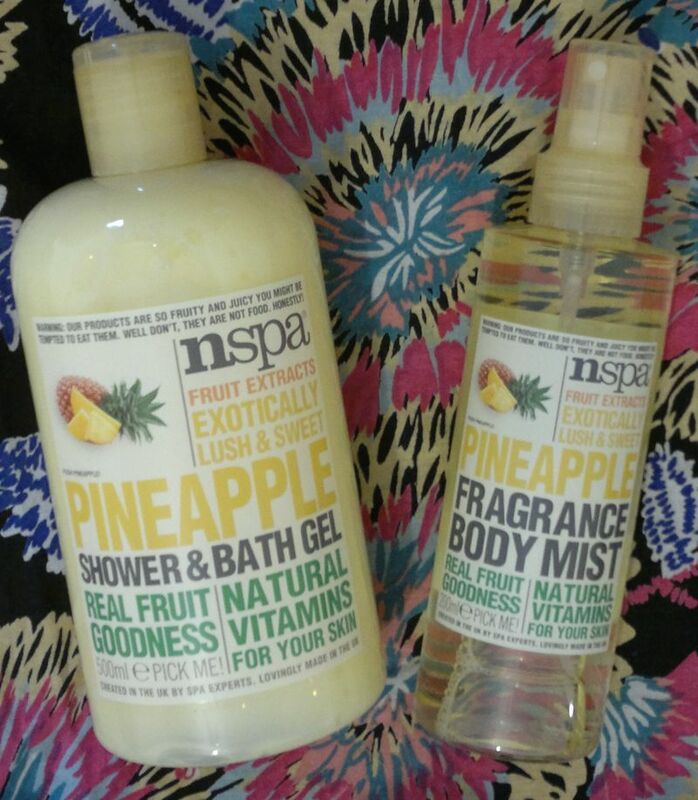 Today’s post is about two summer-themed products – NSPA Pineapple Shower & Bath Gel and NSPA Pineapple Fragrance Body Mist. NSPA products are exclusive to Asda, and the fruity body care products (500ml shower gels, 200ml body mists) are usually £3 each. I paid £2 each (2 for £4 promotion). Now onto the review! NSPA Pineapple Shower & Bath Gel is more like a shower cream. It’s not the most refreshing shower poduct, but it’s not drying which is nice. The fragrance is sweet and exotic – almost like real pineapples. NSPA Pineapple Fragrance Body Mist is quite enjoyable as well. The pineapple fragrance isn’t very longlasting, but that’s OK really because this is obviously just a body mist. Hi there! I’ve been using all sorts of NSPA products for quite some time now – shower gels, body butters, body mists… you name it. 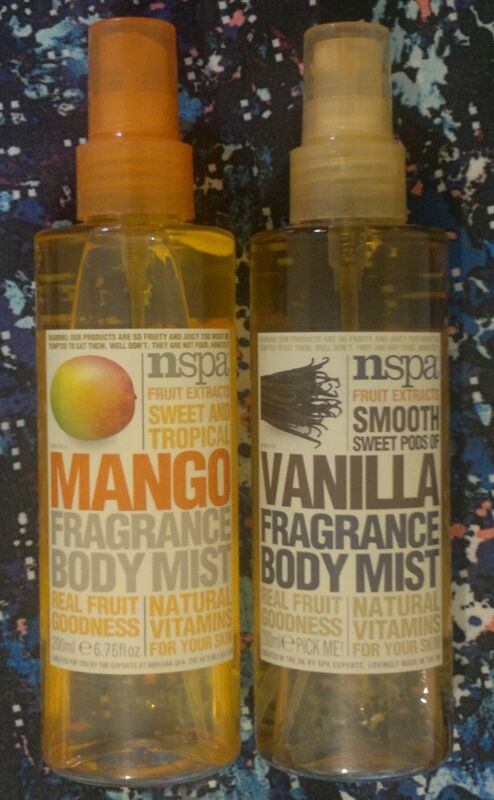 And today I’m reviewing NSPA’s Mango Fragrance Body Mist and NSPA’s Vanilla Fragrance Body Mist. NSPA’s Vanilla Fragrance Body Mist is decent. I don’t think the vanilla fragrance is particularly special. However, the vanilla scent is pleasant, sweet and a little ‘boozy’. Sometimes I spray it on my scarf or on my husband’s pillow. 🙂 Yes, my husband likes that! I think that, if you like vanilla fragrances in general, you should give this body mist a try! NSPA products are exclusive to Asda. The body mists are available as 200ml for £3.